It was my birthday again. Like before, I never really plan ahead on what to do or how should I celebrate it. It was either I stay inside the unit all day and bore myself like my other ordinary solitary days or go somewhere else and see what adventure was out there. Eventually I chose the latter because there was an exception: I was in another country. It made a huge difference among my previous birthdays. I want it to be different and memorable as much as possible. 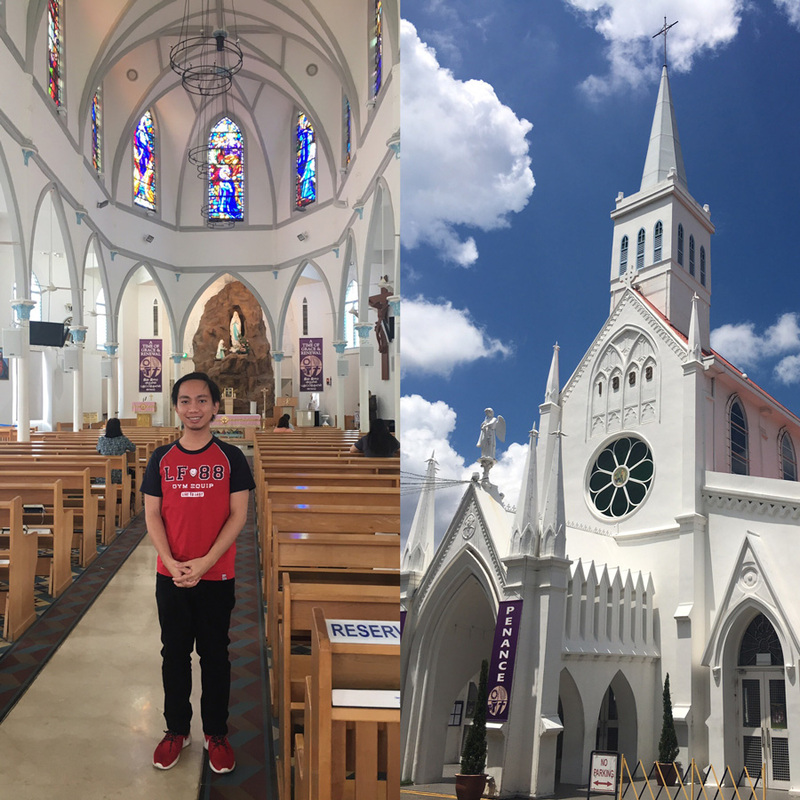 First, I wanted to pray and thank God and Mama Mary for making this day possible. Grateful for all of the blessings I have now in life. The mass had just started when I arrived. There were lots of catholics of different descents. Bibles were available along the pews. I intently listened to the homily while I prayed for my personal intentions: family, friends, money, career, love, health. I pray that you continue to help me and guide me in fulfilling my goals for the next five years. I hope that they are heard and will come true. Situated at the 55th and 56th levels of ION Orchard, ION sky offers a breathtaking panoramic view of Singapore. I was impressed with the view of almost all of the edifices built on every possible inch of this land. There were also variety of plants and trees which tries to balance the man-made buildings with nature. It was sunny outside and the people are going to and fro as usual. Several encouraging quotes are printed on the glass walls, appealing to me or anyone else who reads them to be determined in life, get going whatever it takes to achieve that goal. I took it as a positive note and challenged myself to do the same. Creative artworks by a man was exhibited here in the ION Art Gallery. Artistic and beautiful were other two adjectives I can say on how to describe them. I’m not really fan of paintings such as this but I appreciate them. Like my blogs, they are a way of the artist to express his ideas. One painting which marked my mind was the big ‘Maling‘, a typical easy-to-cook budget canned good. Perhaps, the man behind this recognizes the importance of Maling in his life? Then, I also roamed around other conjuncted shops. There was another artwork shop where several digital prints of Batman and his family were showcased. They seemed weird, but then they were art anyways. Later on, I went inside a shop of luxurious furnitures, imagining what if in the future I bought a house, will these furnitures fit to my taste? The salesman was good enough not to bother me while I was walking around. I was able to take a look at their products without getting pressured of going out! This shopping mall is grand and luxurious! It is evident with its high glass ceiling and well-known branded stores. The blue-green water canal was also a standout. I was able to witness foreigners on Sampan Rides. They were sitting comfortably on Chinese wooden boats paddled by men whoever knows where they are going. Rain Oculus, a rain collector and skylight, is another attraction. It pumps recycled rain water which fills the canal. It was like an inverted fountain. 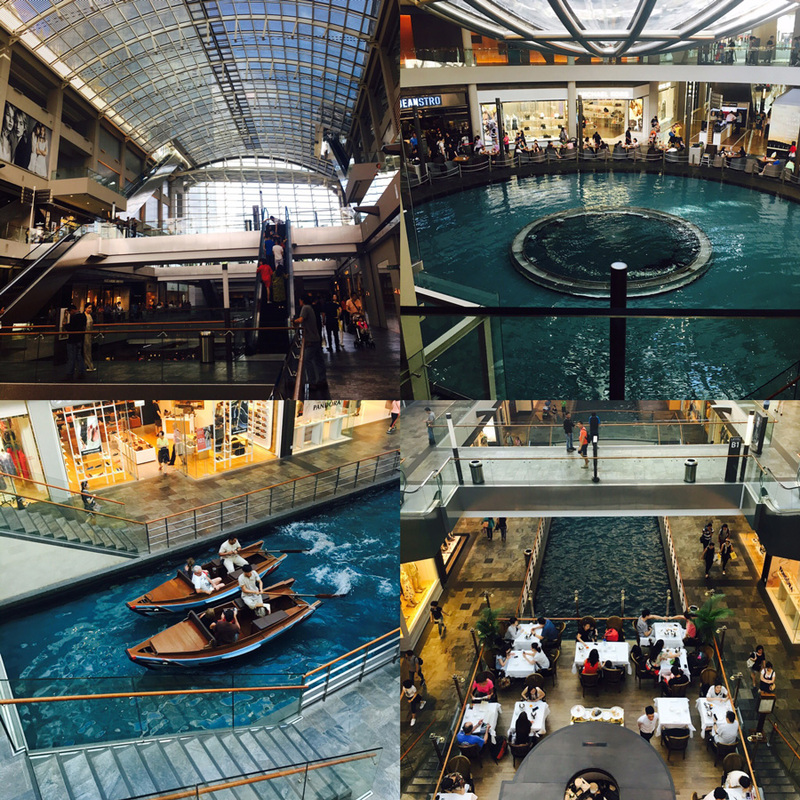 This mall is really huge and work-of-art! The weather outside the comfortable mall was humid. Nonetheless, it didn’t stop me to roam around the vast outdoor gardens by the bay. I went through the Dragonfly and Kingfisher lakes, Water Lily pond, Chinese garden, Indian garden, Malay garden, and other surrounding gardens. I also saw Flower Dome and Cloud Forest from the outside. I walked and appreciate the beauty of nature. These greens make this place more lovely. Eating ice cream would make it official that it was really my birthday. I searched everywhere but I couldn’t find one which would salivate me. 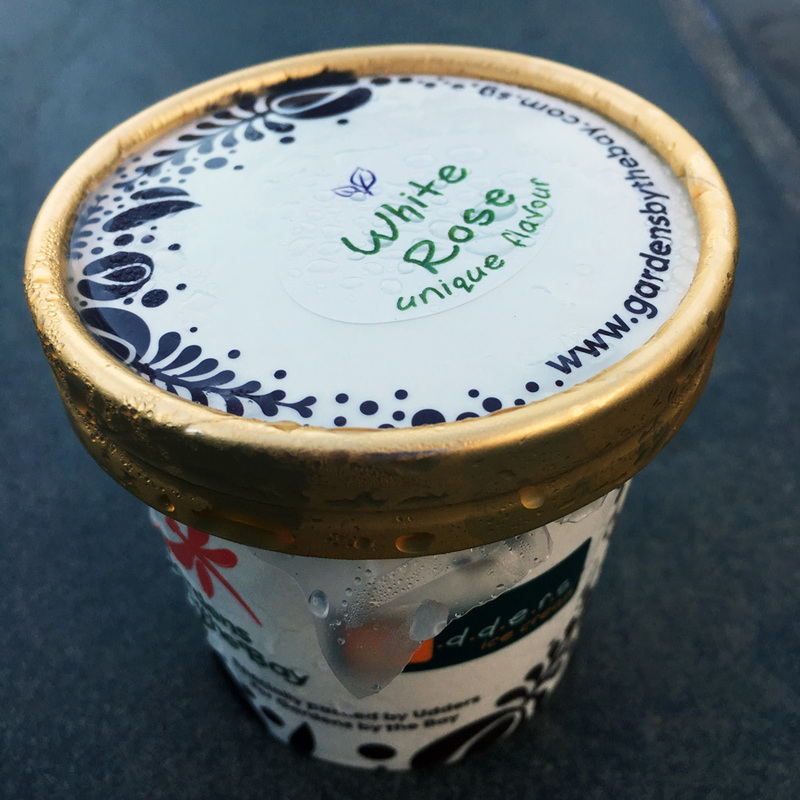 So I just bought whichever was available and that was this White Rose ice cream sold in a food cart. There were other flavors but I chose this because I was curious how it tasted like. After first bite, I had hoped that I should have just bought another flavor as this one tastes like perfume! I won’t eat this kind of flavor again! Nevertheless, I still finished eating all of it. At least I tried something new. Plus it was still an ice cream with a unique flavor. It was really my birthday indeed! 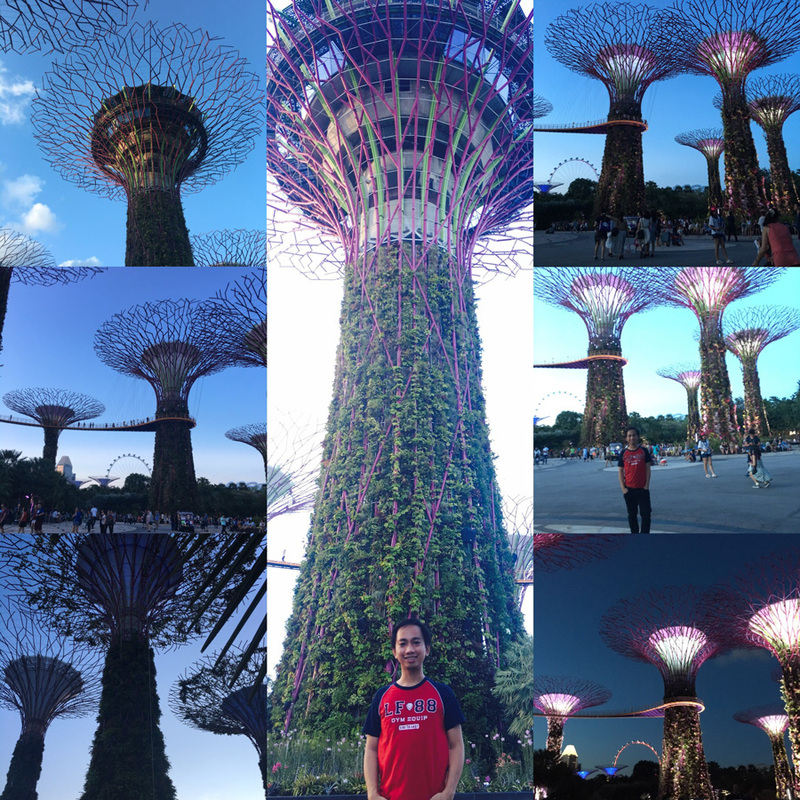 Last stop was at the famous Supertree Grove. I’ve waited for the sun to set along with other people scattered around the vicinity. They were having picnic on the grass, sitting on benches, or dining at the Suppertree. Later on, darkness was all around. The lights on these gigantic trees slowly lit up. And the sounds came along with it. It was truly amazing. I was delighted that I had the chance to celebrate my birthday watching these trees dance with lights and sounds. Fortunately, I have a mobile data connection and was able to talk to my mother and Jan on Skype. I was able to share this magical moment with them. It would be hundred times more awesome if I was with my family or friends the next time I would be here. I successfully and happily celebrated my birthday. My family, relatives, friends and acquaintances greeted me on Facebook. I am grateful for all of the blessings I received and all of the blessings I would still receive. Grateful for my good health, strong immune system and stamina. Grateful for all of the opportunities life has to offer and the advancement of my career. Grateful for all of the goals I have achieved and others which are about to come true. Grateful for my savings and all of the money to come. Where will be my next birthday? I hope it will be in Australia. 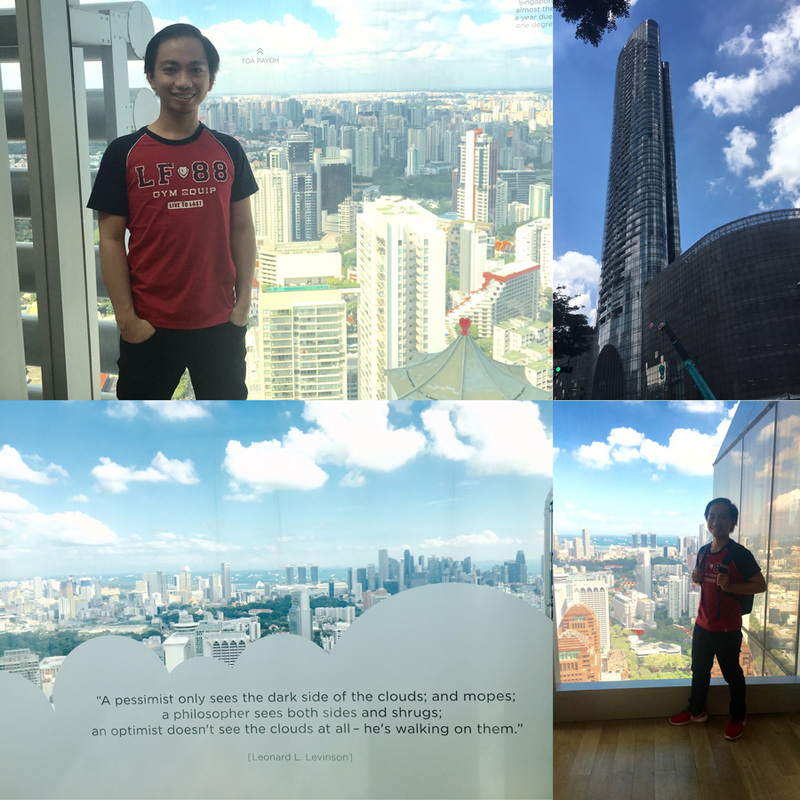 This entry was posted in Daily Me, Space Travel and tagged adventure, birthday, celebration, dream, food, personal, singapore, travel, world. Bookmark the permalink.